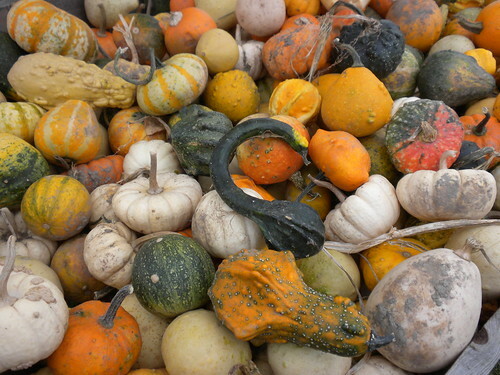 296/365 gourds galore, originally uploaded by phlegmmy. We picked up pumpkins at a cool little roadside place and they had this big bin of assorted little gourds and pumpkins. 4 for a dollar.